When I got out of college, and was looking for a job, I was kind of shocked at how many places I interviewed with expected me to work for free, as if I were still a student looking for experience. One even expected me to come in five days a week, eight hours a day and not receive any money. It kind of blew my mind. Frankly, working for free was not an option for me, because of student loans and, you know, wanting to be able to live and all that. But there are people who have the desire, and the ability, to take on roles where they do not receive any money. And LinkedIn wants to be the place where they can find those positions. That is the company has unveiled the Volunteer Marketplace, a place where people who want to hone their skills, while making a positive impact on the world, can connect with those organizations that are looking for help. 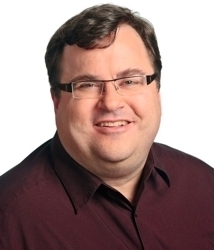 Creating an easier way to get people into volunteer jobs will ultimately be a good thing for them, LinkedIn co-founder Reid Hoffman wrote in a blog post on Tuesday. "When I talk with LinkedIn members, many tell me they aren’t actively looking for traditional job opportunities. Instead, they want to hone or leverage their skills while also making a positive impact on the world," he wrote. Many of those who are looking for this type of work are students, retired professionals and stay-at-home parents, he said. "And while busy professionals who love their current gigs may not necessarily be looking for a new position, these are often the very people who are most actively engaged in 'meaningful searches' – a volunteer opportunity that will enhance their life in ways beyond what their primary vocation provides." A recent LinkedIn survey found that 42% of hiring managers said they consider volunteer work to be equivalent to full-time work experience, while 20% said they’d hired someone because of their volunteer experience. Also, people really want do this. Over three million LinkedIn members have added the Volunteer and Causes section to their profile and, in the last six months, more than 600,000 have signaled they would like to serve on a board or do skill-based volunteering. Beyond giving people a way to expand their horizons, though, the new effort by LinkedIn has another motive: namely that this is a space that really needs the help. "Talent is as critical to the nonprofit sector as it is to the for-profit sector," Hoffman said. "Estimates suggest that approximately two million board seats need to be filled each year and according to a Taproot Foundation study, 92% of nonprofits would like to use skilled volunteers to help them achieve their mission." To help promote volunteer position, LinkedIn is partnering with a organizations that include Catchafire, Taproot Foundation, BoardSource and VolunteerMatch. While LinkedIn may be doing this partly out of the goodness of its heart, let's also be honest here: the company wants to get more organizations and recruiters onto the site because that is where the majority of its money comes from. LinkedIn made $524 million from Talent Solutions in 2012. 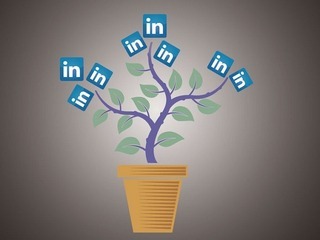 This is where recruiters, and corporations that are looking for potential employees, have the ability to pay LinkedIn to connect with members of the network. That accounted for 54% of the company's $972.3 million in revenue for the full year. In the third quarter of 2013, Talent Solutions took in $224.7 million, or 57% of the company's total revenue. That was up 62% from a year ago, when it accounted for 55% of total revenue. Recruiter Lite costs $99.95 a month on an annual basis, which includes mobile access, the full names and profiles of everyone on their network, the ability to send direct messages to anyone on the network, and the ability to track notes, messages, and activity history for every prospect. LinkedIn chares $719.95 a month for its Recruiter Corporate plan on an annual basis, which also includes full profiles for over 225 million LinkedIn members, the ability to tap into the company's network with Inside Opinion and company follower search, more tools to share data and work with a team, and ustom fields, tags, and statuses.